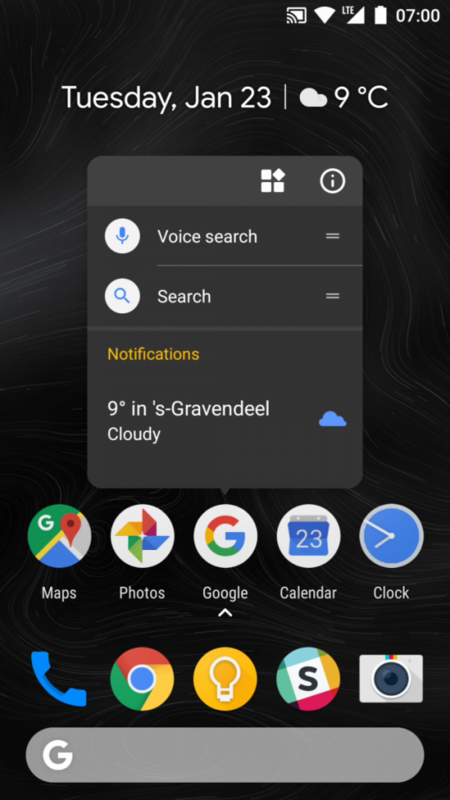 The Google Pixel Launcher which comes with Google’s devices has a number of features and design choices which make many come back to it over third-party launchers like Nova Launcher and Action Launcher. 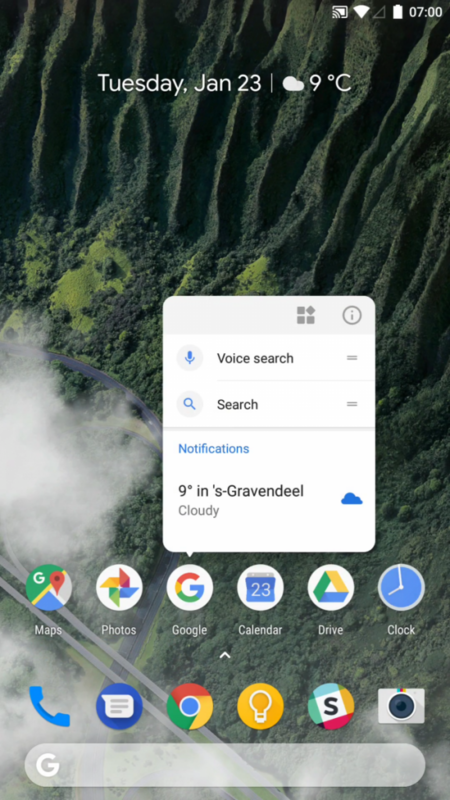 For a while, though, it was not possible to access all of these features, like the Google Now panel, without root access. However, a developer by the name of Amir Zaidi took inspiration from the developers behind Paranoid Android and figured out how to get all of these features working on other devices—without root access. This was done by reverse engineering the Pixel Launcher from the original Google Pixel and then porting those features over to the Android Open Source Project (AOSP) launcher, Launcher3. Google Pixel users wanting to switch to this launcher can also use a Magisk module instead. 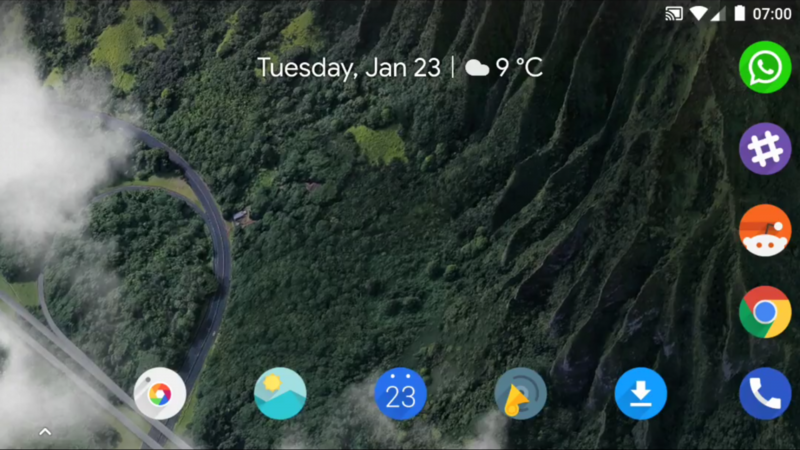 He has now pulled off the same feat with the Pixel Launcher from the Google Pixel 2, decompiling parts of it, converting them to Java, and then splicing them together with the latest version of the AOSP launcher to bring you the latest version of the Rootless Pixel Launcher. While we saw a similar release from XDA Senior Member paphonb, the key difference here is that whereas paphonb’s release was based on the original Pixel Launcher APK, Amir Zaidi’s is a port of the Pixel Launcher’s features (plus extras) to Launcher3 from AOSP. Because of the nature of Amir’s port, this allows extra features to be implemented into the launcher with relative ease. As the features are being ported into Launcher3, this means that there is full source code access and thus an ability to add features. Some features are dependent on Android versions, such as adaptive icon selection requiring Android Oreo. While all Pixel Launcher features have been ported, there is also a large list of extras implemented by Amir himself. Provide simple app suggestions based on the number of drawer clicks. These are not the same as the real Pixel Launcher. Round icons from Android 7.1 Nougat are used when available. Support for icon packs with calendar icons that change with the date. The app filter hides icon packs from the app drawer when using one. There is a screen size profile for a 6×6 grid when the DPI is low. You can open and close notifications from anywhere on the home screen. There is a release link in the settings app when clicking About -> Version. Centered screen popups when left/right would go out of the screen. Remove the popup arrow when it is shifted to prevent clipping. Open the browser when using the search bar when the Google App is unavailable. Resize all apps list when opening the keyboard. Use padding underneath the bottom search bar on devices without a navigation bar. Oreo only – Disabled adaptive icons for pre-Oreo apps, so you don’t get boxes inside of boxes. The theme changes based on the wallpaper in use. Dark wallpapers will trigger the dark theme, otherwise it uses the default theme. 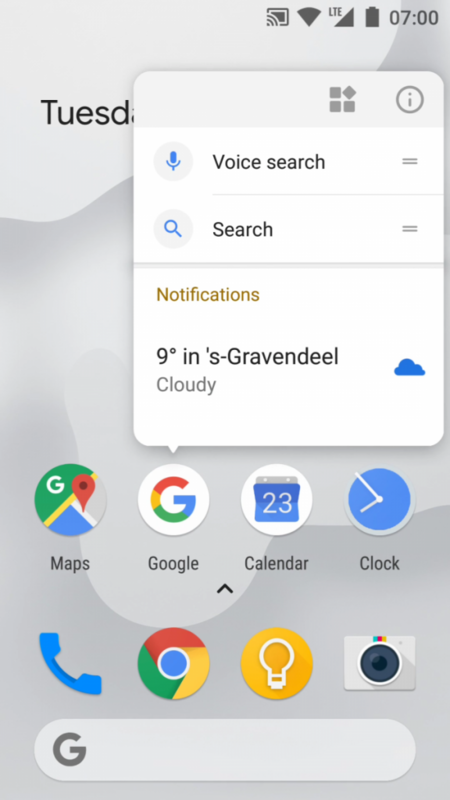 At the top of the first home screen page there is a Smartspace widget with events, weather and the date, all in the Google Sans font. The new search bar is at the bottom of the home screen and the top of the app drawer. Google Calendar’s icon changes with the date. There are app suggestions based on the amount of drawer clicks at the top of the app drawer. These are not the same as the real Pixel Launcher. I will explain why in the FAQ. Round app icons from Android 7.1 are used when available. There is a custom screen size profile with a 6×6 grid when the DPI is low. This automatically kicks in on tablets or large phones. If you want to enable this, your DPI needs to be 370 or less (on a 1920×1080 device). This equals a 467dp smallest width, for those on Nougat. Notification/shortcut popups are centered on the screen with a nice animation, when positioning it on the left or right would make it go out of the screen. There are settings for adding icons to home screen when installing, and changing the icon shape for adaptive icons. All of these features aim to combine the best of the Google Pixel Launcher with the features many power users have come to expect from a launcher on their device. Take a look at the screenshot gallery below to get more of an idea of the feature set the application has. Holding down on an application in the centre will open up a popup window in the centre of the screen. It can adjust for high DPI devices. Likewise, it can adjust for low DPI devices. You can check out Amir’s announcement post on Reddit down below, which has more information on the release of Rootless Pixel Launcher 3.0 and also contains the source code with a complete diff to show every change he has made. The app only works on Android Lollipop and higher, which should cover the vast majority of our readers’ devices. Be sure to check it out!